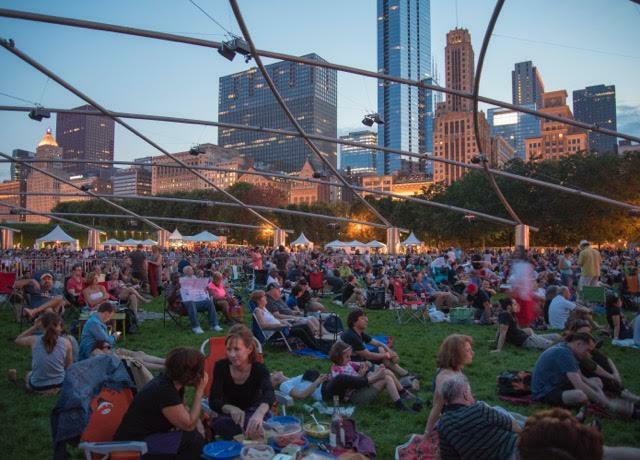 The 40th annual Chicago Jazz Festival, four days free to all of unfettered, usually joyous music held in beautiful downtown Millennium Park, started last night with stars of of the local scene celebrating “Legends and Lions”. Add “Ancient to the Future” to set the tone for a weekend of exciting, civically-supported music here — and similar outpourings of jazz and blues — America’s vernacular musics — are offered throughout the U.S. this Labor Day weekend. A quick search turns up music fests in the next days from Augusta, Georgia (Labor Day Jazz Weekend – Candlelight For A Cause (August 31 – September 2, 2018) to Stevens Point, Wisconsin (the Riverfront Jazz Festival, Sept 1 and 2), from JasAspenSnowMass and the Vail Jazz Party (Aug 30 – Sept 3) to Pensacola, Florida’s Gold Coast Summer Fest – Jazz Edition. I’ve blogged about Labor Day jazz blowouts before, and most I previously cited still exist. The Bedford, Texas Blues and Barbeque Festival is happening, for instance, as is the Big Muddy Blues Festival on three stages over two days at Laclede’s Landing near St. Louis’ Gateway Arch. The Grand Hotel of Mackinac Island continues its Labor Day Jazz Weekend promotion. The DC Blues Society’s 29th annual Blues Fest is in a new venue, the Wunder Garten, on Labor Day itself. There have been a few suspensions (Memphis) or transformations (Tanglewood in the Berkshires discontinued its festival, but Sept 1 will present the Wynton Marsalis Quartet featuring Ellis Marsalis, his father). New York City’s estimable, two-neighborhood Charlie Parker Jazz Festival was last weekend — but New York City, like Chicago and some other cities can fairly be said to always be jazz festing, so there are good options there or in New Orleans, L.A., Seattle, Portland OR, Austin, Nashville . . . In Chicago the City’s Department of Cultural Affairs and Special Events kicked it’s support up a notch for the 40th festival, which has traditionally been curated by a committee of the Jazz Institute of Chicago. DCASE improved the run-up to this year’s main events by offering financial support to venues that last week offered shows free-of-cover. * DCASE commissioner Mark Kelly also added Wednesday night to the previously scheduled four-day fest, having Orbert Davis of the Chicago Jazz Philharmonic organize a calvalcade program of trumpeters (Art Hoyle, Bobby Lewis), vibists (Stu Katz, Joel Ross, Thadeus Tooks), saxophonists (Ari Brown, Pat Mallinger), pianists (Bethany Pickens) and singers (Kurt Elling, Tammy McCann) hailing past heroes such as Louis Armstrong, Lionel Hampton, Von Freeman and Fred Anderson, Willie Pickens and Eddie Jefferson. The Detroit International Jazz Festival, Chicago’s rival, likewise highlights its jazz history and connections — Alice McLeod Coltrane’s works performed by her saxophonist son Ravi; turns by saxphonist Tia Fuller, violinist Regina Carter in a 25th anniversary reconvening of the women’s quartet StraightAhead, fusion bassist Ralphe Armstrong, a Curtis Fuller-dedicated jam session, Joan Belgrave singing, a band representing Detroit-based record company Mack Avenue (and also out-of-towners: Esperanza Spalding, Teri Lynne Carrington, Dr. Lonnie Smith, Omar Sosa, Eddie Daniels, Pat Martino and so on). 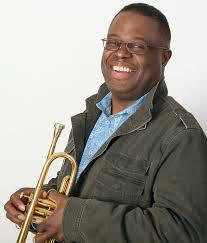 Not to say Chicago is without “special guests” from elsewhere: singer Dianne Reeves, pianist Kenny Barron, orchestra leader Darcy James Argue, pianist Barry Harris with alto saxophonist Charles McPherson and fund saxist Maceo Parker are among the imports. Even so, headliners including Elling and Ramsey Lewis and the tribute to Muhal Richard Abrams are Chi-centric. Which is just fine, as the current talent is comparable to any based anywhere. *I caught solo pianist Craig Taborn at Constellation; French horn player Vincent Chancey’s quartet with bass clarinetist Jason Stein, bassist Joshua Abrams and drummer Mike Reed at the Hungry Brain (Reed runs both the Brain and Constellation; he booked a “Dog Days” series across the two, which are a block distant from each other). At the Green Mill, Jeff Lindberg’s Chicago Jazz Orchestra played the finale of it’s summer Mondays, and Patricia Barber’s regular stand was full but as usual. At the Jazz Art Record Collective, alto saxist Greg Ward and trumpeter Russ Johnson played the front line of Miles Davis’ high-energy Live/Evil with appropriate fire, while keyboardist Rob Clearfield, guitarist Matt Gold, bassist Matt Ulery, percussionist Quin Kirchner, drummer Makaya McCraven all surprised me — Arthur Wright sketching throughout, Harvey Tillis taking photos. . ). Hear some jazz and blues! BBQ and kiss summer goodbye.